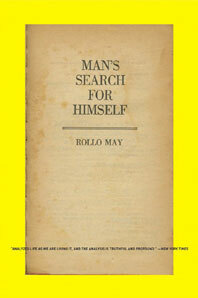 Loneliness, boredom, emptiness: These are the complaints that Rollo May encountered over and over from his patients. In response, he probes the hidden layers of personality to reveal the core of man's integration--a basic and inborn sense of value. Man's Search for Himself is an illuminating view of our predicament in an age of overwhelming anxieties and gives guidance on how to choose, judge, and act during such times.